Maximize space in your van, improve your productivity, store and easily retrieve your hose, and have freshwater available at all times. 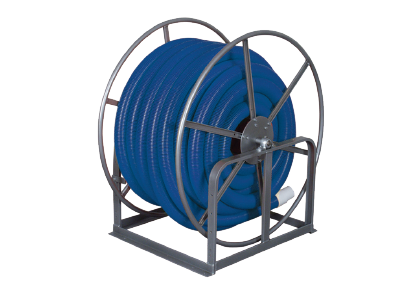 Maximize space in your van, improve your productivity, store and easily retrieve your hose, and have freshwater available at all times. 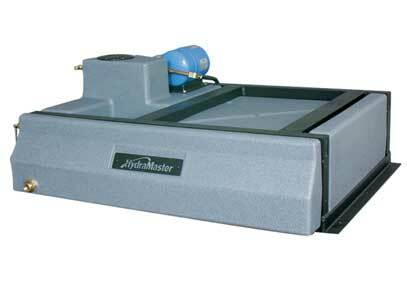 With 125 gallons of freshwater instantly available, every job will be hassle-free. 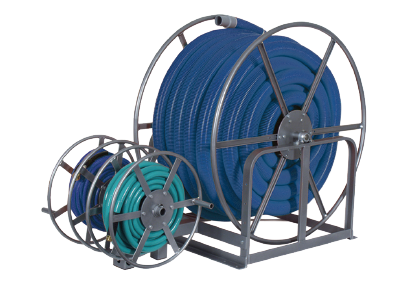 The durable, roto-molded rust resistant hose reels hold 200-250’ of vacuum* and solution (pressure) hose with options to customize and expand your capacity. 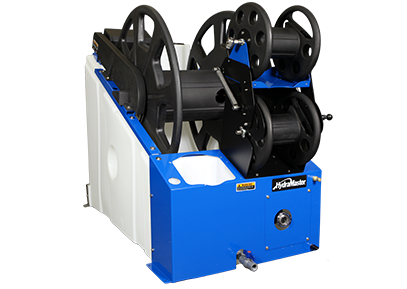 The electric vacuum hose reel provides for powered retraction (via a convenient foot-switch) to reduce fatigue and time spent “tearing” down on the job site. The frame is constructed of high quality powder coated steel, stainless steel, and aluminum to reduce rust and corrosion. 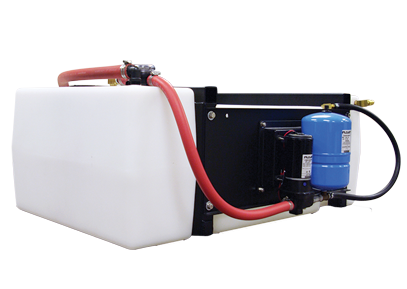 The Inlet water pump has up to 4.5 gpm capacity to continuously feed to the solution pump on your truckmount. Finally, the HydraCradle is also equipped with a convenient mounting station for your in-line injection sprayer. • Weight (without hoses) 225 lbs. Check out the NEW Enhancements! Another enhancement in the HydraCradle is the use of aluminum and stainless steel components and parts designed to reduce corrosion. Finally, the HydraCradle will have a next generation upgraded solution reel swivel. The new swivel is rated for higher pressure and temperature than its predecessor. It is all stainless steel construction with Viton seals.